We Are In Burbank Today! 24 HR-7 Day Emergency Service. Whatever electrician Burbank services you may be seeking, you can rely on Burbank Electrician Champions. 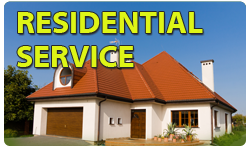 We offer full service electrical service burbank along with top-of-the-line customer service to our customers. Burbank Electrician Champions has fully qualified and licensed electricians who are expertly trained, licensed by the state of California, drug tested and background checked. We resolve your electrical problem, making your home safer, more valuable, more aesthetically pleasing and more comfortable. We also upgrade your home with the latest in custom lighting appliances & features. Whatever your electrical service need, call Burbank Electrician Champions today (818) 237-3545! Burbank Electrician Champions is licensed electrical services company where on-time, prompt, professional and courteous services are a way of life. 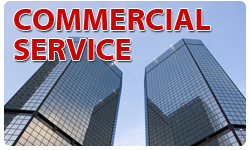 We offer wide ranging commercial and residential electrical services throughout Burbank and the neighboring areas. As licensed electricians, Burbank Electrician Champions offers peace of mind and evokes trust in the minds of consumers who are seeking prompt and efficient electrical services. Since 1988, our customers know they can trust us completely to do any work right the first time round. We will never give you a reason to complain or be dissatisfied with the work we do. In fact, customer service is integral to our business philosophy and this has garnered us an impeccable reputation in the Burbank, Sun Valley, North Hollywood Areas. Also, we are proud supporters of Burbank High School – Go Bulldogs! Why Choose Our Electrician Burbank? There are many reasons to make Burbank Electrician Champions your go-to electrician in Burbank, CA. Besides guaranteeing 100 per cent customer satisfaction, we epitomize dependability. Our customers know that when they use our services, we endeavor to resolve their electrical problems in quick-time. This has made us a household name in Burbank and helped us forge long-term relationships with our residential and commercial customers. It is prudent to remember that Burbank has very specific regulations governed by the state of California and our electricians are trained to follow them stringently. We will always give you expert opinion supported by the right knowledge so that you can make an informed decision. We do not apply pressure to force you to hire our services and this relaxes you sufficiently to see the true picture and decide accordingly. We have been in the line of work for decades. Our master electricians have been trained to assess electrical problems swiftly and plan the quickest and most affordable remedial plan. We can proudly attest to be the best electrical contractor in Burbank who genuinely cares about their customers and their satisfaction. When you schedule an appointment, our qualified electricians will be there within no time to assess the situation and give you a clear, unbiased picture of what is the precise cause of the electrical trouble. 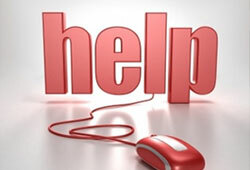 We will even offer you recommendations on how to resolve the issue. Usually, for electrical troubleshooting and subsequent repairs, we take about an hour, depending on the complexity of the problem. In cases, where the issue is more severe, our electricians will give you an accurate picture and estimate so that you can decide. Whether it is as simple as fixing an electrical outlet and installing a bathroom fan or something more complex like panel installation, pool lighting and solar panel installations, we can troubleshoot everything and ensure you get the right solution always. No task is too big or small for us and we welcome customers of all types. We often encourage our customers to seek a second opinion, as it allows them to compare our affordable rates with other similar electrical service providers in the area. We do this so our customers realize that we are the best solutions providers and offer competitive pricing structure. We believe customer is the king. That is why we offer fast and reliable electrician Burbank services in California. Our sound knowledge, unmatched technical skills and business ethics have helped us become one of the most sought-after electricians in Burbank. We don’t believe in resting on our laurels. We are constantly looking to improve and upgrade ourselves. That is why our crew of electricians has mandatory training sessions throughout the year. This helps them keep abreast of the advances taking place in the field and utilizing that knowledge and skill at their workplace so that our customers can benefit from them. We constantly strive to change customer satisfaction to customer delight and with our effort to be a transparent organization we have won the trust of our customers, who always take it upon themselves to recommend us. We believe this is because we always endeavor to provide 100% customer satisfaction. 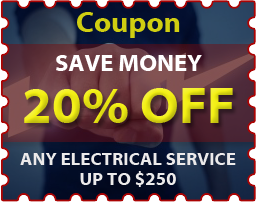 Along with our reliability, prompt service, technical proficiency, affordable pricing structure, superior quality of work and outstanding customer service, you will make Burbank Electrician Champions your preferred electrical service provider. Burbank Electrician Champions knows the importance of having only licensed electricians. So even before you ask us, we will present our license and insurance details to you. This is provided while we furnish you a detailed estimate for your electrical service burbank. We know that this line of work can be dangerous for you to do by yourself. This comfort of knowing that they are always safe allows them to work promptly, efficiently and seamless. You will never experience disruption in our work to delay the project nor will you have a reason to complain about our electricians’ behavior. Should you need to find out more about the work we are doing, you can always get in touch with the site supervisor. We make it a point that each project site has a supervisor to oversee the work and ensure it conforms to our in-house quality control. Our crew travels in mobile trucks, which are stocked and equipped with everything they need to carry out sophisticated as well as simple installations and repairs. This is one of the reasons our services are quick and effective. We handle emergency calls any time of the day. Burbank Electrician Champions gives a 24-hour hot line that connects you, our customer to an knowledgeable and sympathetic representative who will not only listen to you, but also help reassure you. We do not believe in recorded messages or pagers, as we feel customized service is possible only if we have a real dialogue with our customers. Burbank Electrician Champions are the best choice for all kinds of electrical work in homes, businesses and commercial setups. We strive to get you out of the fix and restore normalcy in your daily home life through our swift response time. We take just 45 minutes to reach any destination in Burbank and surrounding areas and our electricians come equipped to start work immediately. 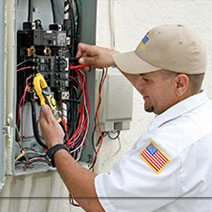 We offer a range of residential and commercial electrical services in Burbank. Whether you would like to install a new light fixture, rewire your property or install a new circuit breaker box, you can trust Burbank Electrician Champions to come to your aid every time. Besides installation of electrical fixtures and components, we also can install electrical equipment including smoke detectors, surge protectors and electrical cable for computers, phone and television. Just let our experienced and knowledgeable electricians know what you require and they will then assess your property and come up with the best possible solution to meet your needs. At Burbank Electrician Champions, we take immense pride in offering all the electrical solutions that our customers may need under one roof. As a result, we help you save time and money. Our services are affordable and we don’t believe in cutting corners or using substandard materials. We use the best materials to ensure you and your loved ones are always safe, knowing that we have taken care of that. It is essential to realize that many times it is impossible to diagnose an electrical issue without resorting to troubleshooting. At Burbank Electrician Champions, we excel in direct troubleshooting that allows us to accurately pinpoint the electrical problem that your home or business may be experiencing. Burbank Electrician Champions believes it is their responsibility to keep the homes of our customers electrically safe. This comes from knowing that more homes in America sustain fire damage due to electrical negligence or faulty wires. Hence, we take it upon ourselves to detect the source of the problem, rectify it with guaranteed labor and parts and ensure you do not have to contend with damages in the future. Our electricians will also check other electrical components in your home. This is a value-added service we provide each time we visit a customer. So you should have peace of mind knowing that by the time our electricians finish repairs or installations in your property, the electrical system is as safe as it can be. In order to keep you and your family safe, we will let you know what needs immediate repairs so that you have no reason to worry or panic. It is our aim to fix existing problems, diagnose issues that could result in a problem in the future and prevent you from experiencing extensive damages. Our electricians will always be honest with you and also educate you regarding safety with electrical systems. Even if your home requires extensive electrical work to make it safe, you can trust our Electrician Burbank to make the entire project stress-free and cost-effective. You will not have to break the bank to afford extensive work. We also work with financing institutions to help those customers who are experiencing financial difficulties. We realize that you may not always have a nest egg to tap on and that is why we go out of our way to help you get access to the necessary financing to make your home electrically safe for you and your loved ones. Our Electrician Burbank works with reputable and reliable financing institutions that extend credit to those customers, who require help getting electrical service in Burbank homes or businesses. We provide the necessary documentation that these lenders require from us, the electrical contractor. Our staff even helps you fill out the application forms, minimizing time, stress or hassle. We make the entire financing application a breeze so that our customers can relax. Let our professional electricians get to work and fix what needs fixing! Don’t let lack of funds stop you from making your home safe. Electrical fires can cause extensive damage and you could end up losing your home and the assets inside it. In some cases, these fires can be downright dangerous, and can take human life. So don’t put yourself or your loved ones at risk. Call Burbank Electrician Champions today to fire-proof your home against electrical fires. Unlike other electrical contractors, Burbank Electrician Champions will never thrust unwanted and expensive electrical repairs and installations on you. Our work ethics speak for us. 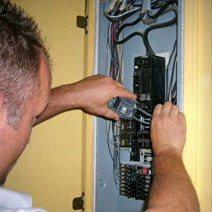 Our electricians will diagnose the fault in your electrical system. Then we explain the most affordable way to rectify it the fault allowing you enjoy top-level safety and functionality. This will give you peace of mind and ensure your electrical repair costs are as low as possible. Of course, you will never have to worry about hidden costs or unnecessary repairs. We believe in forging long-term relationship with our customers and this is our way of building trust. Honesty is our only policy and our customers will testify to it. With up-front pricing, same day repair and installation and the best electrical repair electrician professionals. So put your trust in Burbank Electrician Champions, call today (818) 237-3545. Whether you are looking for electrician burbank repairs, emergency electrical repairs or installation, look no further than Burbank Electrician Champions. Understanding that you are pressed for time is why we are committed to on-time arrival. Additionally, we call you and let you know that we are on the way. We give you an estimated time of arrival so that you are prepared for our arrival. Once we arrive, you can sit back and relax. We will handle everything and make your home safe once again. In fact, we offer preventive maintenance of other electrical fixtures so that you do not have to call us again. Whether you want installation, repairs or emergency electrical repair, we’re your local electrician Burbank of choice coming to your rescue every time. We handle all things electrical and have the expertise to handle projects of all sizes. Call Burbank Electrician Champions today and let our skills and expertise speak for itself. You will be impressed with our efficiency and our ability to do electrical repair and installation in the fastest possible time. Call (818) 237-3545 now and breathe easy! I love Burbank Electrician Champions! They rewired my electrical panel because I was constantly tripping breakers. Thanks Joe! Rated: 4.75 based on 1625 ratings.